When considering / planning the ownership transfer of a veterinary practice, (in my mind) the very best purchaser is the existing associate, and the very best practice for an associate to purchase, is the practice where they work. Despite the opportunity at hand for both parties, the transfer process should be considered as being the most risky of all transfer situations because when the negotiation process begins to deteriorate, the situation goes from not so good to really bad very quickly and many times there's no quick solution for recovery. Often times the respective party's dream becomes a nightmare, people stop talking, the practice value is at risk, and the work environment becomes toxic for all those involved. For clarity, the following comments imply an ownership transfer of 100% of the practice and to associate veterinarians. However, the resulting problems occur at any percentage of ownership transfer both in the instance of associate veterinarians and non-DVM employee. The moment discussions take place between an owner and an associate or employee with regards to ownership in the business, the "employer / employee relationship" immediately changes. • "The practice is worth $$$$$$ because it has always provided me with a good living, to say nothing of all the extras we have been able to enjoy as a result of the practice;"
• "Part of the practice Goodwill Value is because I have worked extremely hard, worked late, practiced great medicine and now many clients only want to deal with me;"
• "The associate may be good at veterinary medicine but if it wasn't for my management skills and business knowledge, the practice wouldn't have done as good as it has in the past; "
• "After I become an owner, we are going to update this practice to modern times, get rid of some of the toxic employees;"
• "I plan to slide into retirement managing the practice, work 2 – 4 days a week, leaving the heavy work to my new partner who I expect will respond by working the same sort of hours I did when I first purchased the practice;"
Enter into the discussion of selling the veterinary practice to the employee under the general philosophy and commitment to reach a mutually acceptable agreement. Failure to reach a satisfactory resolution in this type of circumstance will result in losing the associate, bad relations, and the potential for losing support from employees. The Vendor should begin the process committed to transferring ownership and equally as important, believing the employee is not only motivated to purchase the practice, but also has the maturity and business sense to make the transaction happen. Both parties have to enter the discussion on the same page. Prior to entering in the ownership discussion, the Vendor should have fully reviewed their succession options with a clear understanding of their short and long term career and (practice) investment objectives. Time should be taken in discussions with the potential purchaser to fully understand where they are in their career as well as confirm there is a timely commitment to acquire a veterinary practice. Assess the Purchaser's communication skills and ability to work with support staff as well as successes achieved in building their own practice clientele. Will you be able to stand proud and recommend to your best client, the associate as your successor? Assess through the preliminary discussions the potential result and thus impact on you, the support staff and the practice, if the negotiations were to be unsuccessful. Disaster doesn't necessarily hide until a particular moment but rather often times lies directly before us and to which we have become emotionally blind. Enjoying a beer and a few laughs does not make a relationship. Selling a business has income tax consequences that can have a huge impact on the money that ends up in the Vendor's jeans at the end of the transaction. It is thus very important to take the time to discuss, plan, and organize the business affairs of the Company before embarking on the negotiation process. This is a critical part in the process that can influence the sale timing, offering a realistic price, and equally as important, the terms and conditions of the sale. From experience, this is not something that should be left to "during" the negotiation process if success is the primary objective. Before talking about price, terms and conditions, my number one recommendation is for the owner to take the time to prepare and research the potential practice sale. If I can be self-promoting for a moment, I would direct your attention to my article Succession Planning – Check List included as an Article in this web site. This is a detailed five year check list that will provide a step by step program to prepare you and your practice for sale with the objective of achieving the highest possible selling value, in the quickest possible time frame as quietly as possible. A Practice Valuation is now required by all financial institutions in order to support the purchaser's acquisition loan. More importantly, the Practice Valuation when completed by an industry experienced professional, supports the offering price which in turn provides credibility to the negotiation process. Unfortunately when the owner has proclaimed and "sold" the practice at an unconfirmed price, I have witnessed far too many "disasters" when the resulting confirmed value is substantially different from the value perception of the owner. At this point the owner has lost a certain amount of credibility resulting in a difficult position from which to quickly recover for the positive benefit of all those involved. A Practice Valuation should be constructed and drafted to provide convincing technical financial information to the purchaser's professional advisor, with regards to interpreting the financial statements in reviewing and recommending the offer price. Unfortunately or fortunately, company financial statements are prepared for income tax purposes where the lowest possible taxable income is the objective and thus make for a poor supporting document in supporting value. Practice Valuation examinations and reports can be considered expensive, but should contain very useful information in identifying value weaknesses and strengths of a veterinary practice. Identifying weaknesses early allow time for the Owner to implement correction actions which in turn increases practice value. Identification of strengths support value presentation and in turn strengthens the development of proper negotiating strategies. 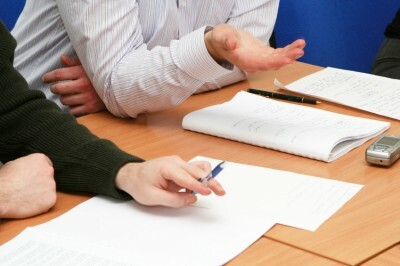 Due to the risk factor associated with value confirmation, I do not generally recommend the Vendor and Purchaser jointly engage the valuator, although at times this can be used as a strong negotiation strategy if the perception of value is sound and reasonable and the parties are looking only to a mediation process to efficiently and timely conclude the transaction. Before proceeding with any discussion with the associate or employee regarding the potential ownership transfer consideration, I strongly recommend the parties sign a Confidentiality Agreement and mutually agree neither shall confirm the discussions taking place with any employee nor make reference to the discussions at the veterinary practice. Breach of this agreement and understanding (in my book) is grounds for terminating or suspending the negotiating discussions. If there is no Restrictive Covenant and / or Non-Solicitation Agreements in place between the parties prior to entering into formal discussions, I would recommend such agreements be considered and signed by both parties before proceeding. Through the course of the ensuing negotiation discussions, there is going to be confidential information transferred between the parties, including detail financial information regarding the business and the owner. If the negotiations were terminated for whatever reason, having a Restrictive Covenant and Non-Solicitation Agreement limits the negative retaliatory actions that can be taken by either party. I often times include the Restrictive Covenant and Non-Solicitation Agreement as part of the Confidentiality Agreement so that they are all related. a. What is being offered for sale? As a result of reviewing the income tax consequences with an income tax familiar accountant, the Offer to Sell should confirm the sale component being operating assets or the issued share capital. Due to the income tax consequences arising from the transaction, price is not only based on the practice value but also influenced by the income tax implications that arise. Further and because one doesn't know whether the transaction will conclude on either a share or operating basis, I generally suggest don't start off with a price based on a share sale without confirming how an operating asset sale might impact the offer price. I generally recommend while selling equity shares may be the preferred commodity to be sold in the transaction, do not restrict the negotiations to that of a share sale, but rather simply confirm the Vendor's greatest level of motivation is that of a share equity transaction. In my view, the Vendor demonstrates negotiating power by leading with confirming a specific selling price. Without this subject being discussed from the outset, there is an elephant in the room that will confuse and influence the conversation. Offering a specific selling price, as opposed to a selling range, demonstrates confidence in the price as well as strength and leadership in the overall process. In light of my above comments, I would recommend opening the discussion of price based on an operating asset transaction. You can always reduce the price through negotiations, but you cannot increase the initial offering price. c. For What Terms and Conditions? All sale transactions have terms and conditions attached, and thus it is important to outline the Vendor's desired terms or conditions related to the sale. Working with your lawyer, many of the standard selling terms can be identified and resolved. An important consideration in the sale of a business is the inclusion of an agreement previously referred to as a Restrictive Covenant. While this would be a similar agreement to that suggested earlier, this one relates directly to the Vendor and specifically relates to their activities after the sale or alternatively after they have concluded their employment with the practice post-closing. Special consideration should be given to a desire to continue to work at the clinic after the sale transaction. It is important the agreement with regards to hours worked, compensation and responsibilities be spelt out to avoid confusion and mis-interpretation. Consideration within this section would include the disposition of the operating premise through the change in ownership. If the Vendor owns the operating facility, what lease terms are being proposed that will meet the acquisition financing requirements as well as protect and preserve the market value of the real estate? If the premises is leased through a third party, what are the assignment requirements if personal guarantees have been pledged and how will the Vendor be indemnified? I generally do not recommend company financial statements be released until such time as there are Confidentiality, Restrictive Covenant and Non-Solicitation Agreements in place. I would also not recommend releasing financial statements unless and until the Purchaser has provided the name of their professional advisor. Financial Statements are an official document of the Company and as such can be interpreting in all sorts of ways without some direction and objective. By limiting and restricting the availability of financial statements to a certain point in the discussions, the Vendor demonstrates confidence, strength and commitment to a formal process of negotiations which in turn will lead to diminished risks and higher success rate in negotiations. Notwithstanding the release of the formal financial statements, the Offer to Sell should include a Financial Summary that summarizes certain key financial indicators of the business (Revenue, Cost of Sales, Employee wages, rent, etc.). In my mind, this preliminary financial reporting should not disclose wages paid to the owner, or other expenses such as Advertising, Vehicle, etc. for obvious reasons. The sale of any business is complicated and as mentioned previously, emotional. The sale of a veterinary practice is equally complicated but due to the industry itself, is more emotional with the Vendor changing their life long career path and saying Goodbye to a family of pet owners who they have nurtured over the many years of being in practice. On the other side, the Purchaser is about to realize a lifelong dream of owning their practice. In light of the foregoing, I wouldn't be doing my job if I didn't suggest the facilitation and sale negotiations be handled by someone other than the principals' directly involved. The successful transfer of a veterinary practice has many stakeholders aside from the Vendor and the Purchaser and is an extremely valuable transaction. An experienced and knowledgeable professional facilitator is money well spent in keeping all those involved focused on the process of reaching a mutually beneficial agreement for all concerned. Most importantly, as inferred in the beginning, it is very important to keep the negotiations out of the work place. Contrary to popular belief, one cannot negotiate in the evening and work alongside one another the next day without implications or influence. Terry Jackson, C.P.A. – C.G.A. has twenty five plus years industry experience in successfully representing owners and associates in their objective to effect a timely succession program with minimal disruption to the day to day operations. Professional services range from exploring an succession program to associate / owner communication, preparing qualifying Valuation Reports, negotiating complete transaction details, instructing legal representatives, securing acquisition financing, monitoring and facilitating the transaction in a timely and efficient manner.